A beautiful sunset over Zionskirche in Berlin Mitte. On sundays you can actually climb the bell tower of the church – Zionskirche has a nice little observation platform with a view to Prenzlauer Berg and Mitte. 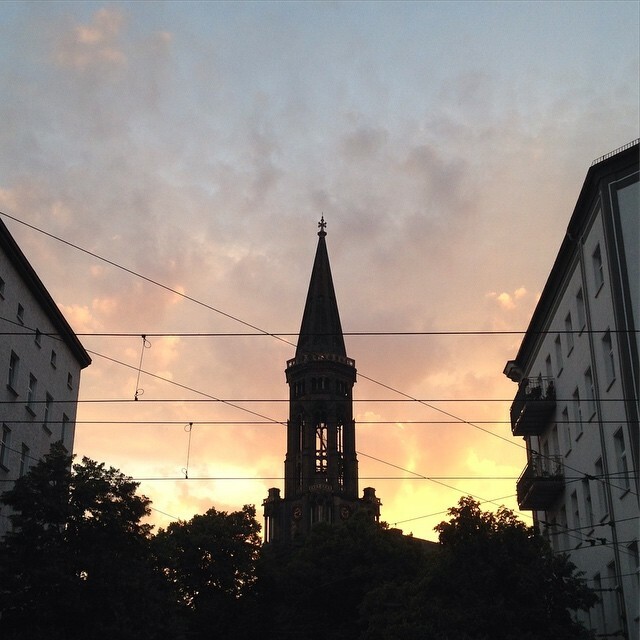 This entry was posted in Berlin Photos, Instagram, Mitte and tagged church, sunset on 8. July 2016 by t.b..